Harbron Home Improvements offer a state of the art range of artificial grass products that are setting new standards in quality and durability. With a 100 per cent premium quality guarantee, these multiple award winning solutions look and feel just like the real thing and are suitable for a whole host of applications. Manufactured to the highest of industry standards, artificial grass displays regularly take the honours at the prestigious Chelsea Flower Show. Now Harbron Home Improvements can help customers transform their outdoor spaces into a show stopping garden of their own with a range of luxurious artificial grass. 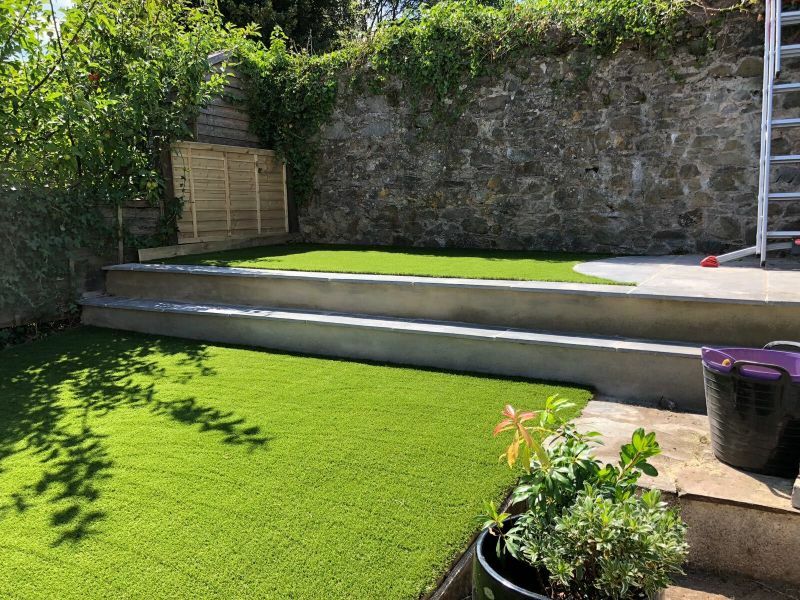 From lawns to sports pitches, children’s play areas to pet friendly gardens and balconies and roof terraces to courtyards – we have a perfect artificial grass for any location from short 8mm length grass to our luxurious best seller ‘Pebble Beach’ at 35mm. At Harbron Home Improvements, we know that it’s important to offer great peace of mind too – that’s why we guarantee both our artificial grass products and labour for 10 years. No more mowing, seeding or weeding – and UV protected against fading, choose the artificial grass that looks great all year round. All artificial grass solutions from Harbron Home Improvements need minimal maintenance, but Harbron can even handle all the upkeep for you via our comprehensive and competitively priced maintenance packages. We recommend a once a year visit, but if you have a special garden party planned we can give your grass a quick makeover too so it is looking its absolute best!